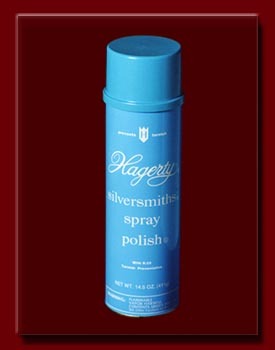 For cleaning Silver, we recommend Hagerty Silversmith's Spray Polish.You can find this product in most Department Stores, or you may purchase it from our store for $19.50 (8 oz. can). Use the link below if you would like to purchase this product. As for it's use, DO NOT spray directly on the jewelry, but spray Hagerty's on a soft cloth, and polish your jewelry to a beautiful shine. Price for shipping is $10.50.